Any time you try something new, you expose yourself to a threshold of disappointment. Video games are designed for failure. But the thing about video games is that, at least for me, they take my mind off reality. I’m not engaged with my inner dialogue; I’m just focused on the game. There is no confrontational consequence (as there is in life) that makes you think you’re failing — you just think you’re improving each time you get a little further in the game. I can’t tell you how many times I rebooted Madden ’18, trying to take my Pittsburgh Steelers to the Super Bowl. I broke a few controllers along the way, but I was able to move from rookie, to veteran, to all pro. Video games are a great analogy for failure. You learn not to take defeat personally. You just reboot and try again. It is process and challenge that you focus on, and you’re determined to get the result. Gaming is a $36 billion industry. Why are video games so popular? As noted above, they are designed for failure. They challenge people. No one wants to download a new game and play to the end on the first try. The fun lies in being challenged, falling down, and figuring out how to work through the obstacles that jump in your way. You try something, you fail, you reboot, and you try again. You remember exactly what went wrong and build off what you learn. Life is no different. One of the things I’ve learned as a professional speaker is this: Trying to be perfect will take you out of the performance. When it comes to performance, the value that the audience members receive from the substance you share with them is paramount. In the past, I would expect perfection. Before every talk, I practice perfecting the pregnant pauses, the power statements, and the narratives that are designed to adhere the audience to me. However, I’ve learned that no matter how well the presentation is received, there will still be a flaw somewhere in its composition or delivery. Those who have experience on the stage will relate to this: Whether it’s the acoustics, the camerawork, or the seating arrangement, something unexpected will go wrong. As soon as it does, you’re going to be stuck in that irritated, frustrated, and emotional state. When I strive for perfection, the audience might not see it, but I feel it; I know it. I start looking inward and judging my speech. I learned the hard way that trying to be perfect was killing my “good.” As humans, we can never be perfect, but in time, we darn sure can be good if we’re willing to engage in deliberate practice, welcome constructive critique, and do the work it takes to be better. There is an expected range of failure that is the price of “good.” Learn to be okay with it. It will calm your anxiety and turn down the voice of internal doubt. Give that voice even a bit of attention, and it will cue up the song of failure for you. No need to push play on that one! I have learned through time that we are often our own harshest critics. When that negative voice of doom and gloom starts to whisper — and then scream — “You are not good enough! You are not ready! What happens if you screw it up?” you can take your power back. Start to push back and say, “Bull! You’re good enough. You’re ready. This is what you were born to do. Go do it!” This breaks the pattern, and I start to think about what I will do instead of stewing in the adrenaline release of what I can’t do. There is an expected range of failure if you want to learn a new skill, acquire a new language, prepare for a marathon, start a new job, learn a new dance, create, innovate, or speak in public. Your tolerance range is going to be determined by the value you assign to the endeavor. How bad do you want or need it? Your answer to that question will be the impetus for the next push forward. Everything is about “next.” As you make progress, your disappointment will fade, and what was once anger and frustration will be channeled into focused and active participation in the quest for improvement. Your expected range of failure will shrink until — and here’s the caveat — you push it to the next level. Try something new again, or try to master one of those things that you’re already doing. Don’t let your emotions override your expectations. Accept the fact that failure will accompany the next level of achievement. 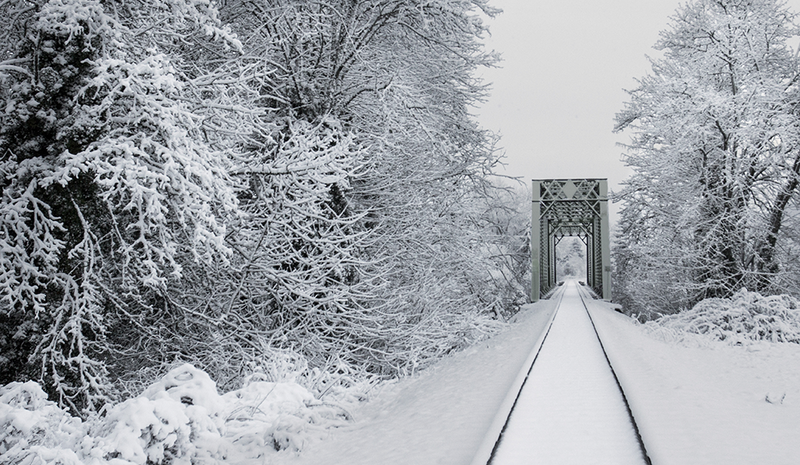 At some point, you’ll come to a crossroads of decision. This will be an important choice. You’ve had some success, and you know that the next level is going to provide an even bigger challenge. This is where most people stop. They compromise their success by labeling it “good enough.” How badly do you want success? How badly do you need it? When you raise the stakes to the next level, you’ll have answered these questions. The “next level” means a new expected range of failure. You’re ready for it; you’ve been through it before. Only the naive believe they can master something without putting in the work and enduring the sacrifice that mastery demands. You’re not naive. Expect failure, accept it, and then embrace its teachings on the road toward mastery. The only valueless failure is one you refuse to learn from. Be okay with experimentation, and remember that to experiment is to try new things. Some will work; some won’t. By trying something that failed, you now know that it doesn’t work. You aren’t going to waste your time chasing after it again. You are now better able to invest your resources into something else. If that doesn’t work either, you will be that much the wiser. Failure to learn from your mistakes is truly failure. Put in the work, learn from your past, and craft your future. You can’t know or predict all the things that will happen in every situation. You may not be able to see or may be unwilling to acknowledge events that could derail your progress. These events fall into the category of unexpected failures. There will be things that happen outside your span of control, and no matter how perfect your approach, you are destined to fail. Politics get in the way; people change their minds. People want to stay with the mediocrity of the same in a relationship, and no matter how good you look, how well you dress, or how great your program or product is, you’ll fail. You don’t expect to fail because you’ve got all the measurables. You never saw it coming, but those things do appear. Either you didn’t want to see it, or you couldn’t see it. If you didn’t want to see it, that’s on you. If you couldn’t see it, it might’ve been something that no one could foresee. You leave your ego at the door. Get other people involved, and ask them to check out your blind spots. You control all the variables you can possibly control. You can only know what you endeavor to find out, and even then, you could be misled, or things can change that you’re not aware of. You forgive yourself. Don’t beat yourself up for things you missed that you couldn’t see or know. Statements like “I should’ve known,” “I could’ve known,” or “I should’ve done this” are revisionist history when it comes to unexpected failure. It’s a waste of time and emotion. You need both for your next success. 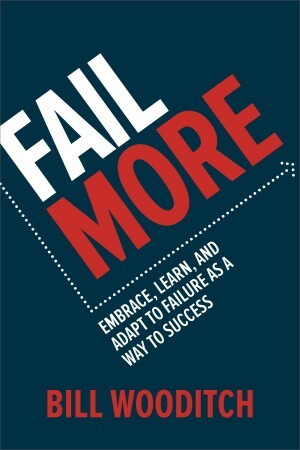 Excerpted from Fail More: Embrace, Learn, and Adapt to Failure as a Way to Success by Bill Wooditch, p. 13-17 (McGraw-Hill Education; March 26, 2019). Bill Wooditch is the author of Fail More and the founder and CEO of Wooditch Enterprises. Bill Wooditch is the author of "Fail More: Embrace, Learn, and Adapt to Failure as a Way to Success" and the founder and CEO of Wooditch Enterprises (a subsidiary of The Wooditch Group, a risk management and corporate insurance firm with annual sales of $100 million). He works with Fortune 500 companies like AIG, Old Republic, Zurich, and Bank of America to improve their sales and leadership. Wooditch's keynotes include the National Sales Conference for MetaBank and the National Annual Meeting for Boy Scouts of America. He appeared regularly on Steve Harvey's "Act Like a Success" show and has also appeared on CNBC, Fox, and CBS. He has written for Inc., New York Daily News, and the American Management Association.